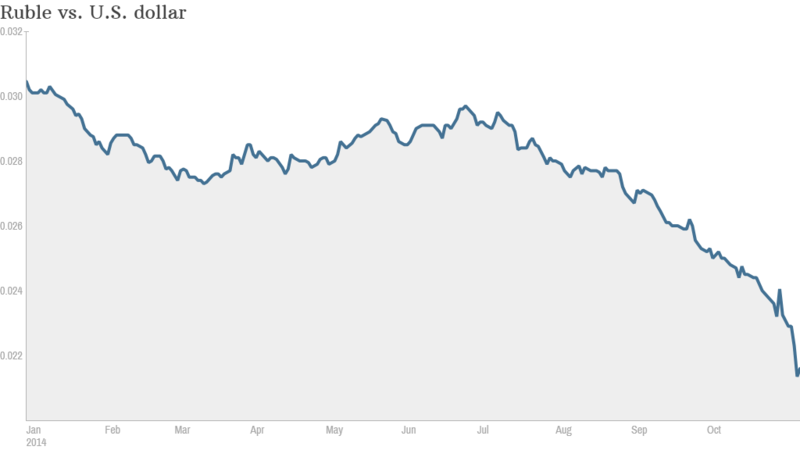 Russian President Vladimir Putin could be facing a full-blown currency crisis. 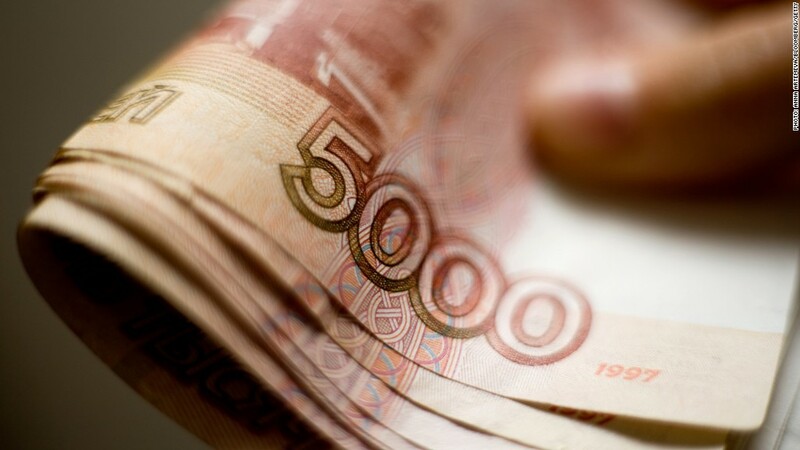 The ruble has fallen by about 30% since the start of the year to a record low against the dollar. It plunged by about 10% this week alone, after the Russian central bank said it would reduce its support for the currency, allowing the ruble to trade more freely. Pressure on Putin is mounting as tumbling oil prices, a sanctions stand-off with the West and continued tensions with Ukraine weigh heavily on the currency. The central bank said Friday that the rapid plunge in recent days could threaten Russia's financial stability, and it was ready to sell dollars again "at any moment" to steady the ruble. It burned through $30 billion alone last month, buying rubles to brake the fall. This year's dramatic devaluation creates problems for Russian consumers and companies since it becomes far more expensive to import goods, and to pay off debts denominated in foreign currencies. Inflation in the country is running well above 8%, and the central bank warned that it doesn't expect the outlook for prices to improve significantly anytime soon. It has been jacking up interest rates all year -- most recently last week when it raised the key borrowing rate to 9.5% from 8% -- but with little effect. "We suspect that another large increase in interest rates may be needed to stabilize the ruble," said Neil Shearing, chief emerging markets economist at Capital Economics. Rates may have to go to 12%, he added. But a move of that magnitude would further depress Russia's stagnant economy, and alone may not do the trick.